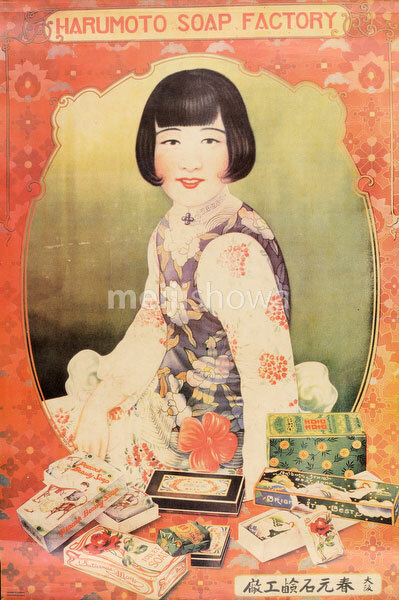 Advertising poster for the Harumoto Soap Factory in Osaka dating from the 1930s. The poster was created for the Chinese market. A woman with a modern hairstyle wearing a Chinese dress sits behind different soap products.